As many of you know, I've been a long-time fan of Rafflecopter for my blog's giveaways and believe wholeheartedly in how fast and easy this widget makes them to enter. All of this time, they've been in Beta testing mode though and available to try by invite only. Well, today is the day that they are making this widget available for FREE to the public and they're kicking it off in grand style by giving away two sweet prizes: an iPad 2 and a Kindle Fire! Over 80,000 giveaways have been created with Rafflecopter, and if you didn’t know, there’s a new version in town! 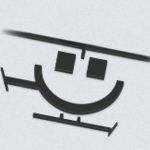 If you haven’t used Rafflecopter, sign up and launch a giveaway in a matter of minutes.